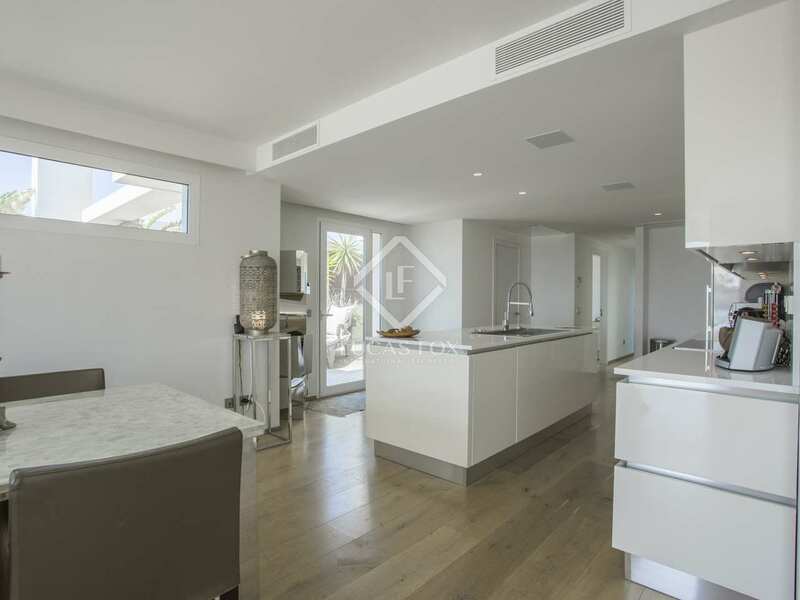 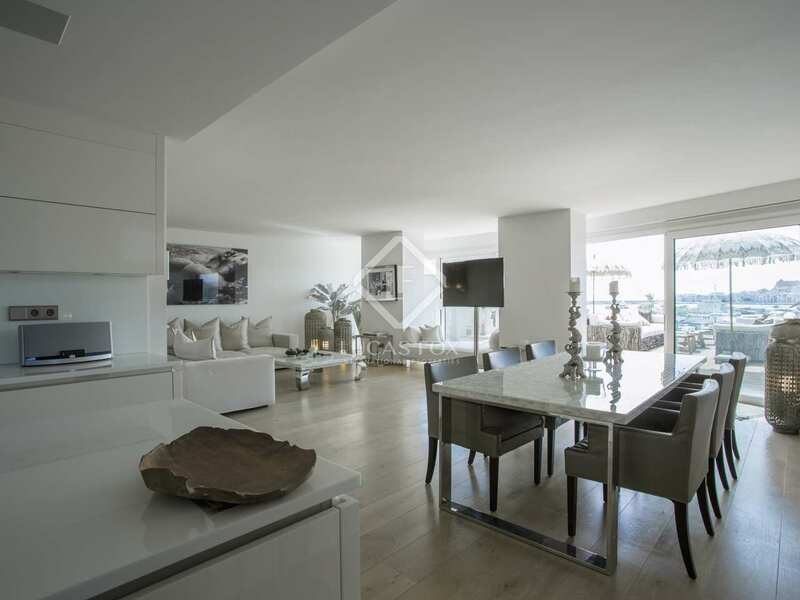 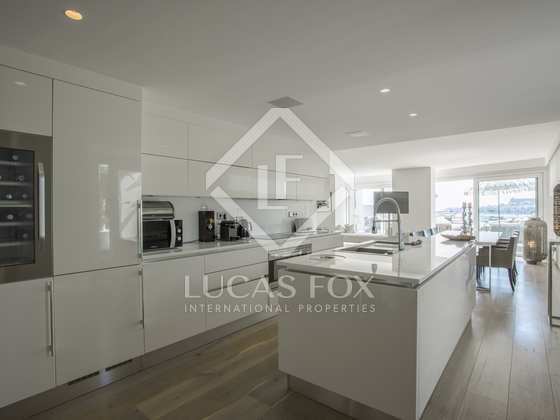 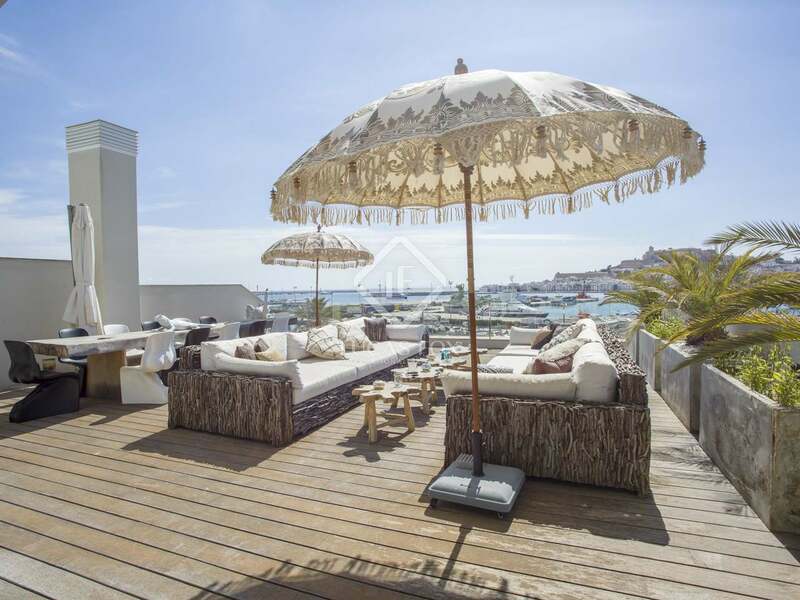 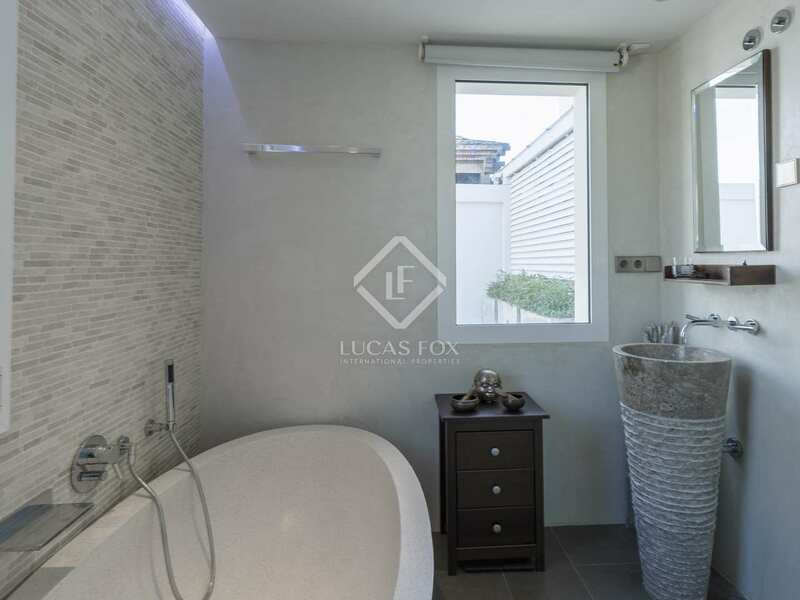 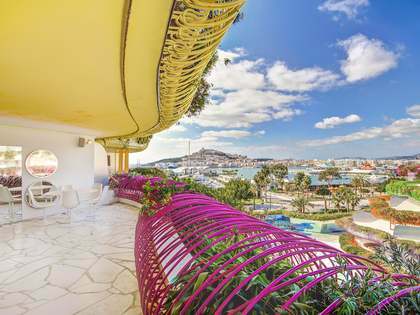 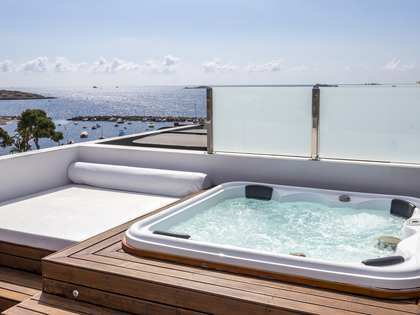 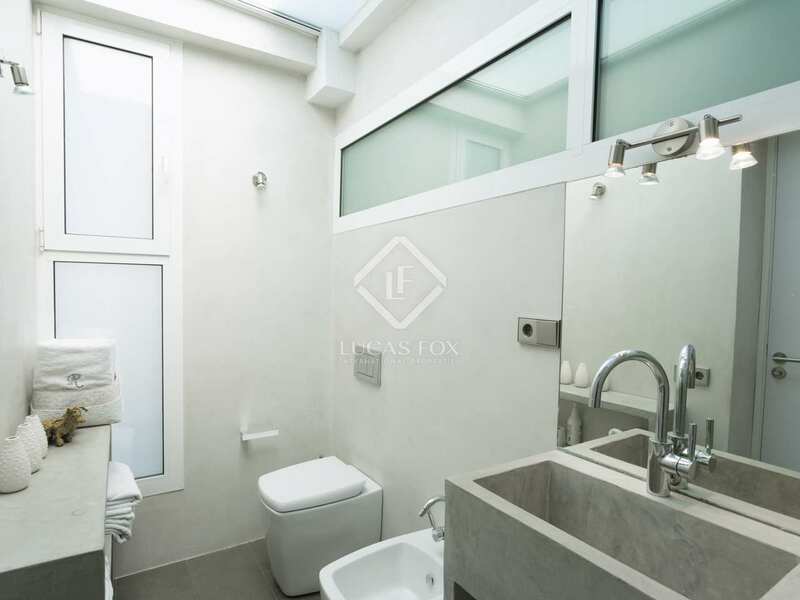 Located just a step away from Marina Botafoch and the centre of Ibiza Town, this 122 m² apartment with a total of 185 m² of terraces occupies the fourth and top floor of a top quality, recently constructed building, perfectly maintained. 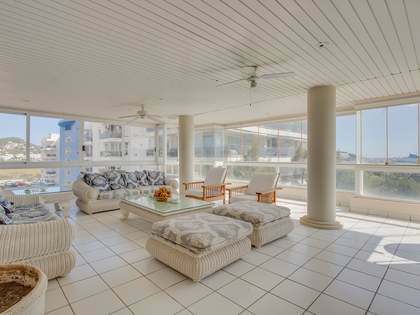 The property has a lift from the basement to the top floor. On entering the apartment a corridor leads to a large open kitchen which is fully equipped and has a central island. 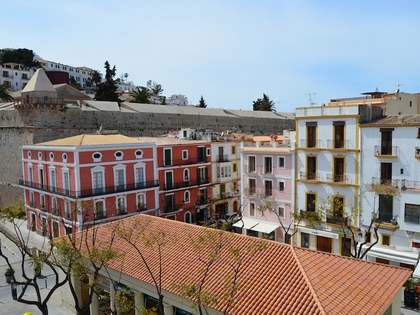 From here we can enjoy open views of Dalt Vila, the splendid old city classified as a UNESCO world heritage site. 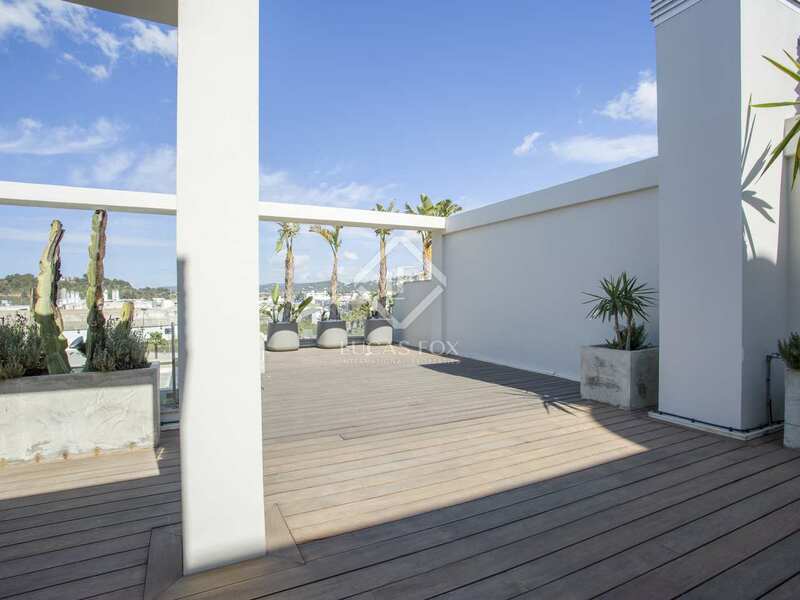 The kitchen opens onto a spacious living-dining room flooded with natural light and with access to the fantastic 87 m² terrace with a generous chill-out area and outside dining space; perfect for enjoying views of one of the most beautiful Mediterranean cities. 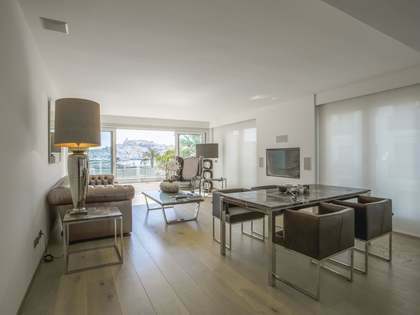 Going back inside the apartment we find a spacious and well equipped double bedroom opening onto an exclusive terrace of 52 m² that also has direct views of Dalt Vila. 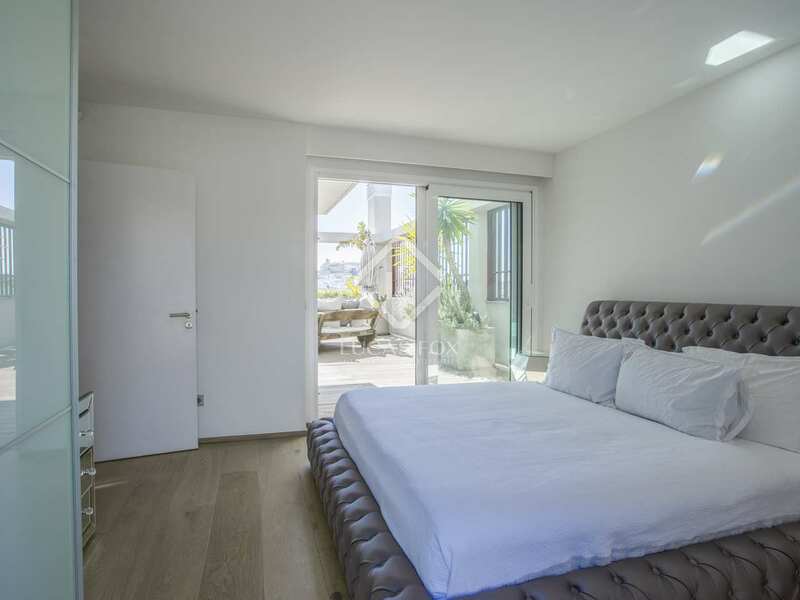 Opposite the bedroom we have a bright, complete bathroom, and down the hall we reach a bedroom with complete bathroom and access to its own private terrace. 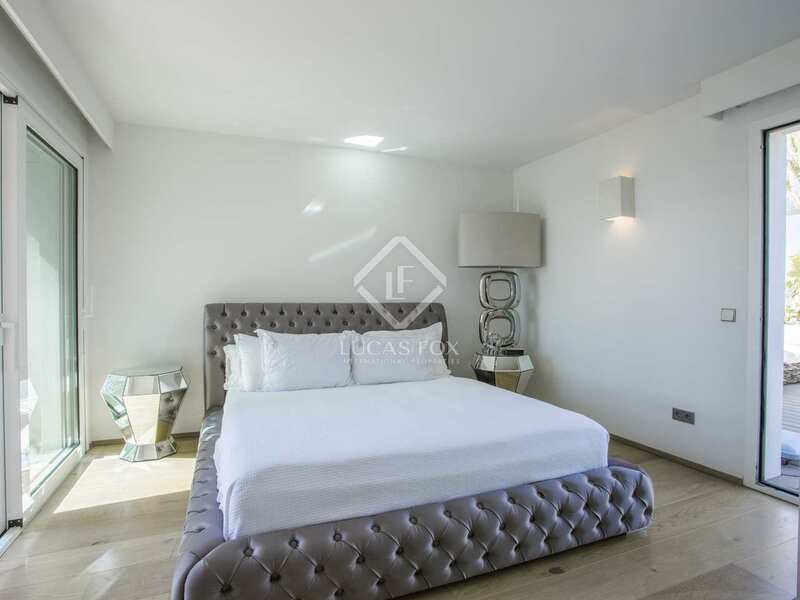 This exclusive apartment comes equipped with luxury interior and exterior furniture and top quality equipment, all in excellent condition. 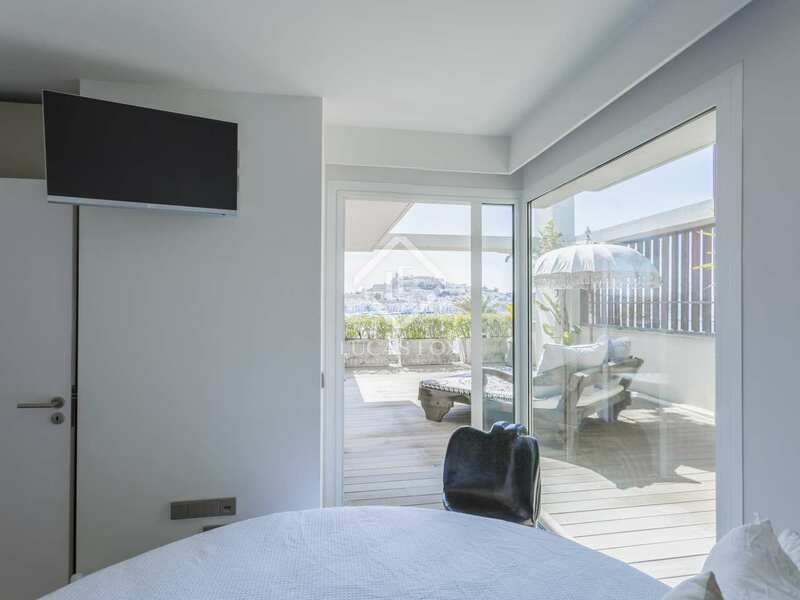 In addition, it has a domotic system that allows to manage the air conditioning, blinds, music, etc. 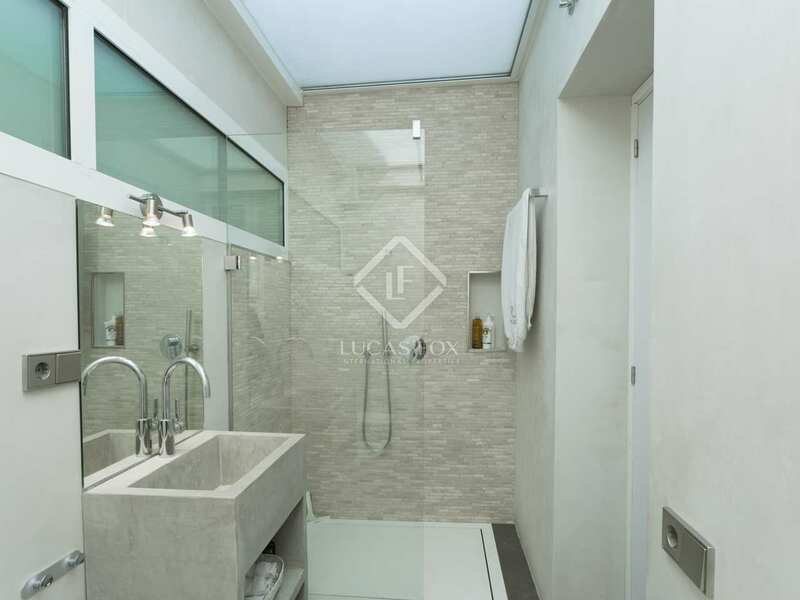 The basement includes a large private parking space. 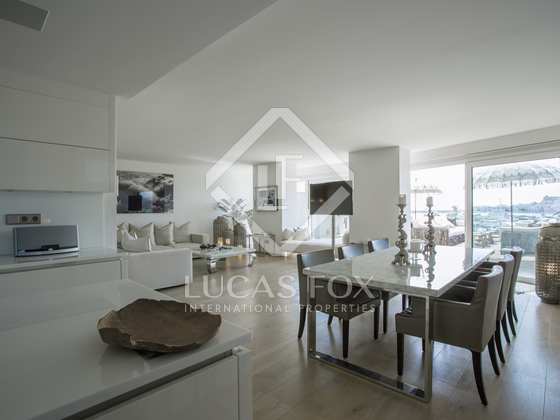 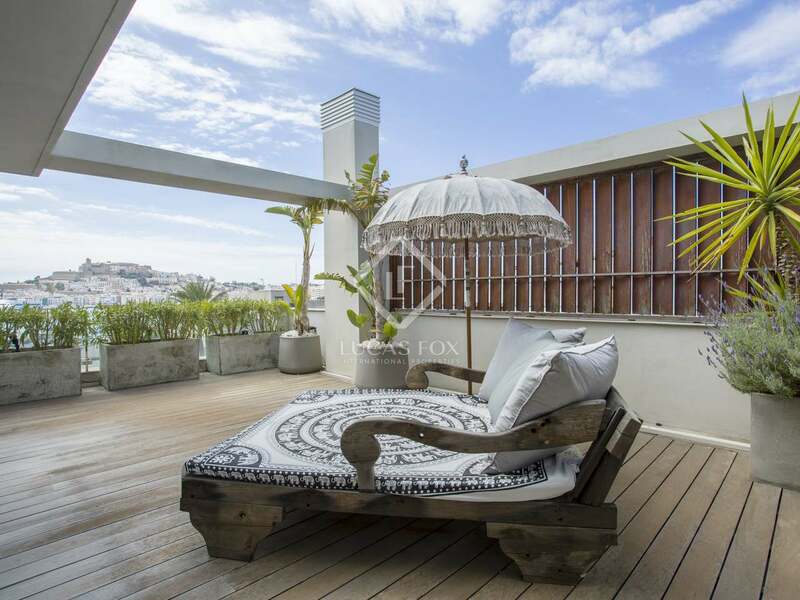 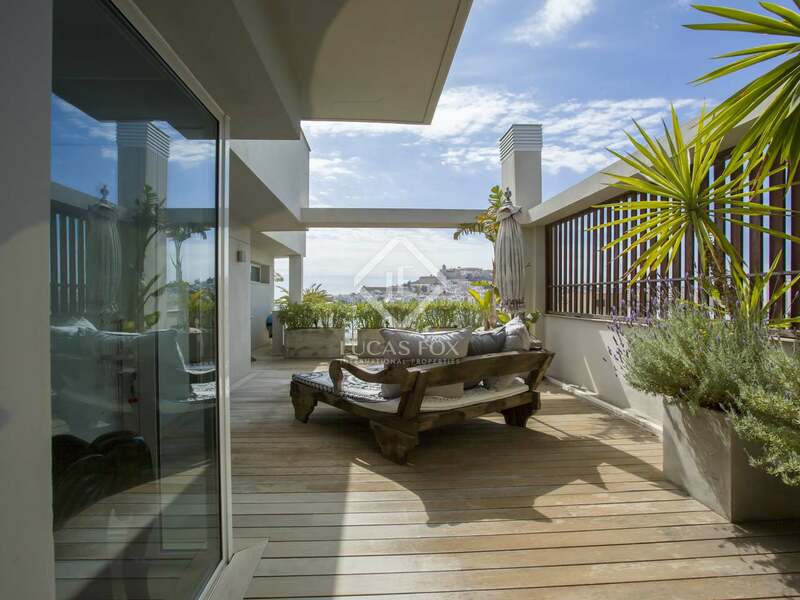 Contact us for more information about this excellent penthouse in Marina Botafoch. 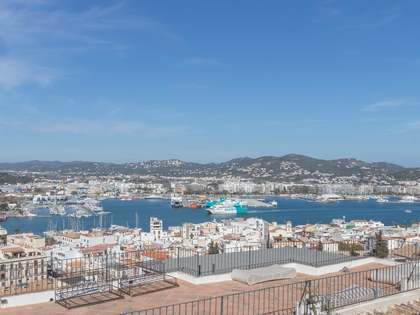 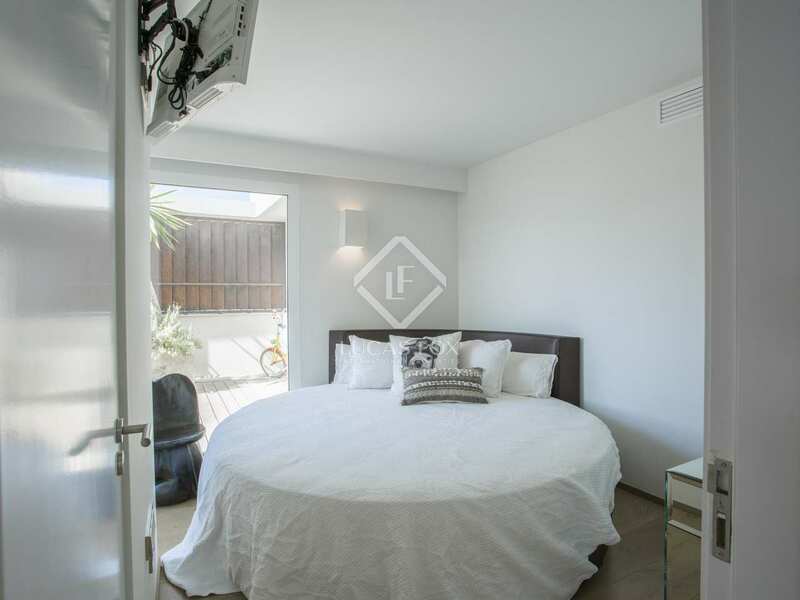 This apartment is in an ideal location in Marina Botafoch, a 10-minute walk from the historic centre of Ibiza and close to all services, restaurants, etc.